Today the European Parliament approved two new instruments for settling disputes between consumers and traders- the Alternative Dispute Resolution (ADR) Directive and Online Dispute Resolution (ODR) Regulation. They aim to solve disputes concerning cross-border and domestic transactions and e-commerce purchases, without going to court, within 90 days. Unlike court proceedings, which are time-consuming (court proceedings in the EU last on average 500 days), expensive and burdensome, ADR and ODR offer speedier and cheaper solutions that will aid consumers in seeking compensation and take full advantage of the Single Market. Alternative Dispute Resolution is an out-of court instrument where the entities help resolve disputes in the case of problems concerning sales and services contracts between trader and consumer. 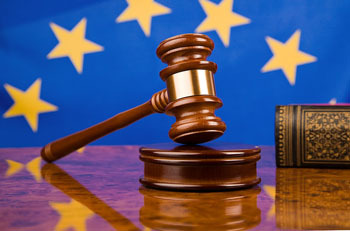 The regulation on Online Dispute Resolution, on the other hand, will establish an online platform set up and maintained by the European Commission, available in all official languages of the EU, which will allow consumers and traders who are separated a great distance from each other, to handle their disputes. The platform will be accessible via the ‘Your Europe’ portal and will be free of charge.The Alternative Dispute Resolution Directive and the Online Dispute Resolution Regulation will enter into force 20 days after their publication in the EU Official Journal. The ADR Directive should apply in all EU Member States within 24 months of its entry into force. The ODR platform will start working shortly after that date.